Nevertheless, I have been stealing bits and pieces of time here and there to plan bits and pieces of this year's Christmas cards in my head...this card is all of those fragments put together. 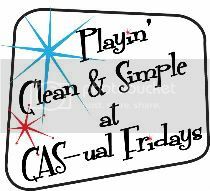 There is an interesting thread on Splitcoaststampers discussing whether stampers just "wing it" or plan out their cards ahead of time...neat to see how everyone creates!! I like to and usually do create spontaneously but when I have taken the time to gather all the elements ahead of time and map out my card, less wasted cardstock and supplies is the result! Next, I put the hill back on the base, lined up the snowman image on the acetate from the Stampamajig over the snowman on the card base, slid a post it under the hill (to avoid stamping over the card base) and restamped the (lower part of the) snowman on the hill. 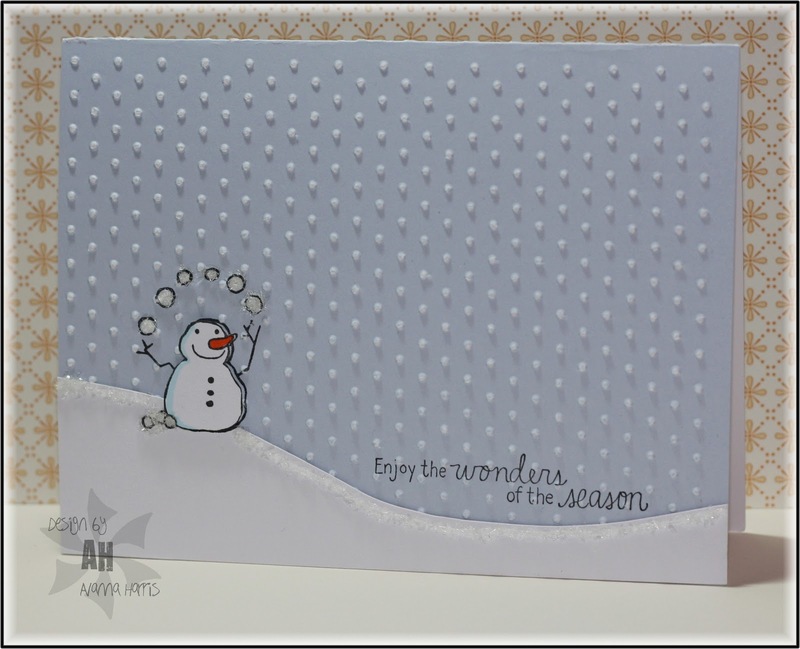 Next, I ran the card base through the swiss dots folder on my cuttlebug and sanded the dots to make the white core appear on the cardstock - snow!! I adhered the cut out snowman over the snowman on the hill. Hope you enjoy the holidays...thanks for stopping by today!! Thanks for showing how you created this cute card. I made a comment too on splitcoast. Fantastic! Great scene and the sparkle is perfect! Great card love this snowman.